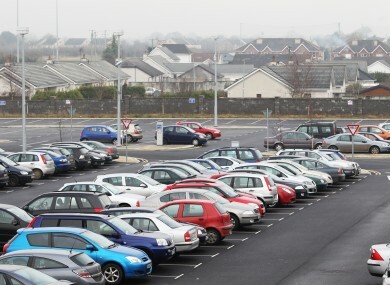 The Minister for the Environment confirmed that road taxes will be increased in the Budget for 2012. MOTORISTS ARE FACING a “rotten budget” on 6 December, according to AA Ireland. Speaking to TheJournal.ie this morning AA’s director of policy Conor Faughnan said that reports about increases in motor tax, although not surprising, are very disappointing. According to The Sunday Times, motorists will be hit with car-tax hikes, as well as a 4c increase in the excise on a litre of petrol. The Minister for the Environment Phil Hogan confirmed to RTÉ that there will be adjustments in the rates and bands of vehicle taxes. It will also not work as a revenue raising mechanism, he said. “The tax hikes will simply just take money out of people’s pockets and away from other sectors of the economy as they will not be able to spend,” he explains. Those who own greener and cleaner cars will actually see their tax bills rise significantly. Faughnan explains that the Government had to re-balance the tax system as it was losing revenue as cars became greener – and more popular. The Government’s Scrappage Scheme enticed people to scrap their old, less environmentally-friendly cars and purchase greener replacements which fell into low-cost tax bands. According to the Sunday Times, those in Band A could see their road tax rise by €66, while those in band B may have to pay an extra €64 per year. “The possible increase in petrol costs is going to be a bigger story for motorists though,” claims Faughnan. “Rising fuel and diesel prices have been a problem for months – and this has been particularly pronounced in the last few weeks,” he said. AA Ireland has also been critical of the Government’s plans to increase the VAT rate by 2 per cent, claiming it could sway many Christmas shoppers over the border. In a statement this morning, the group said that a recent survey showed that slightly more people are planning to head to Northern Ireland to buy alcohol, groceries and presents this year. Many respondents to the poll said that they will strongly consider more frequent shopping trips across the border starting with their Christmas purchases if the VAT increase is introduced on Budget Day. Speaking at the Fine Gael Presidential Dinner last night, Taoiseach Enda Kenny warned that the budget was going to be “tough on everyone”. It will entail “very difficult spending cuts and revenue raising measures”, he said, adding that indirect taxes will be favoured over changes to taxes on work. The budget will be announced over two days – the 5 and 6 December – by both Public Expenditure and Reform Minister Brendan Howlin and Finance Minster Michael Noonan. Email “Motorists face a 'grim budget' - AA Ireland”. Feedback on “Motorists face a 'grim budget' - AA Ireland”.